Meghan Markle, Prince Harry's American fiancée, is spending her first Christmas with the royal family. 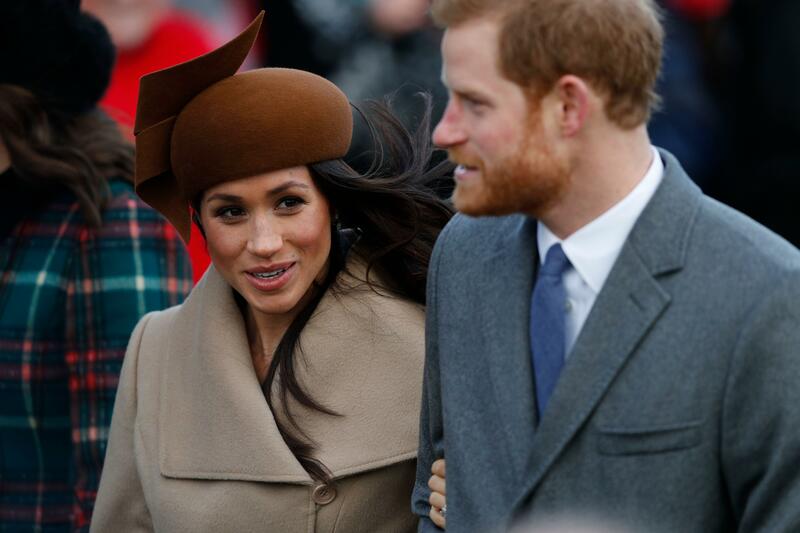 She joined them for a Christmas Day church service on Monday at Queen Elizabeth's country estate at Sandringham, 110 miles north of London, as a crowd of local residents gathered to watch and wave. It is believed to be the first time a royal fiancée has spent the Christmas holiday with the queen and her family. The couple walked alongside Harry's older brother, Prince William, and his wife Kate, Duchess of Cambridge, who are expecting their third child this spring. Markle and Prince Harry announced their engagement on Nov. 27. They plan to wed on May 19 in St. George's Chapel at Windsor Castle. At church on Monday, Queen Elizabeth, 91, was joined by her husband, Prince Philip, 96, and other close family members including the heir to the throne, Prince Charles, and his wife Camilla. The queen and Prince Philip missed last year's Christmas services because of illness. The royal family had a private lunch scheduled after church. In keeping with family tradition, they exchanged gifts on Christmas Eve. In her annual pre-recorded Christmas broadcast, the queen said that the royal family looks forward "to welcoming new members into it next year" — an apparent reference to Markle and the baby expected in the spring by Prince William and Kate.